World Refugee Day 2018 is on June 20th. This is an annual event, held on the same date each year, and 2018 is the 18th year of the event, run by the United Nations Refugee Agency, to state that the world supports and stands with refugees. Theme ‘Now More Than Ever, We Need to Stand with Refugees’. 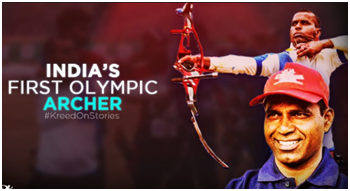 Minister of State (I/C) Youth Affairs and Sports Col Rajyavardhan Rathore sanctioned a special financial assistance of Rs.5 lakhs to former International Archer & Arjun Awardee Limba Ram. Limba Ram, who is suffering from neuro generative disease or neurological illness, is undergoing treatment at Jaipur. He is working for the State Govt of Rajasthan and is in receipt of salary beyond the ceiling of Rs.4 lakhs fixed under the scheme of Pandit Deen Dayal Upadhyay National Welfare Fund for Sportspersons. The 220 MW Unit-1 of Karnataka’s Kaiga Generating Systems (KGS-1)set a new record of the continuous operation of 766 days, surpassing the earlier record of 765 days set by the Unit-5 of Rajasthan Atomic Power Station (RAPS-5) in 2014. With this achievement, KGS-1 stands second in the world among the Pressurised Heavy Water Reactors (PHWRs) and fourth among all nuclear power reactors in terms of continuous operation. The unit KGS-1 has been in operation since May 13, 2016. The 220 mw KGS-1 is an indigenous PHWR fuelled by domestic fuel. The British government has drawn a direct link between the exclusion of Indian students from a relaxation of visa rules and India’s decision to pull out of a Memorandum of Understanding (MoU) on the return of illegal migrants. The relaxation was extended to ten countries, including China and the Maldives, but not India. The Opposition Liberal Democrat party described the exclusion of Indian students as “nonsensical and cruel”. New Delhi’s demands for “easier norms” as part of a “constant conversation” between the two countries could not be dealt with without India addressing the issue of “over-stayers,”, British International Trade Minister Liam Fox said on Monday. The World Health Organisation (WHO) classified gaming addiction as mental health disorder in its International Classification of Diseases (ICD) 11. This classification is as per draft of new document that was released in Dec 2017. It will be used by health professionals across the globe to uniformly diagnose and classify risks for addictive gaming behaviour. WHO defines gaming disorder as pattern of gaming behaviour (video-gaming or digital-gaming) characterized by impaired control over gaming, increased priority given to gaming over other activities to such extent that gaming takes precedence over other interests and daily activities. Nikki Haley, the US Permanent Representative to the United Nationsannounced the withdrawal of the United States from the United Nations Human Rights Council (UNHRC), accusing the council of bias against US ally Israel. Ms Haley also accused the council of maintaining a “disproportionate focus and unending hostility towards Israel” that shows it is “motivated by political bias, not by human rights”. 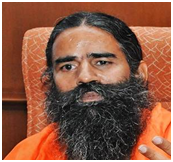 The Uttar Pradesh government on Tuesday gave its nod to yoga guru-turned-entrepreneur Baba Ramdev’s company to transfer land to its subsidiary for setting up a multi-crore mega food park in Noida. The Patanjali Food and Herbal Park would avail the special exemption of ‘sublease facility’ of land and a discount of 25% in the existing rate of land allotment. Renowned music composer A.R. 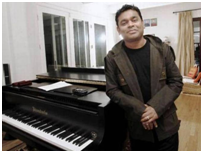 Rahman has been appointed as the Brand Ambassador of the Sikkim government. Mr. Rahman will promote and protect the state’s achievements nationally and globally. Jammu and Kashmir Chief Minister Mehbooba Mufti resigned after the BJP announced that it was pulling out of the alliance with her Peoples Democratic Party that has ruled the State since March 2015. Later in the day, Governor N.N. Vohra forwarded his report to the President recommending imposition of Governor’s Rule in the State. Telangana Police launched a mobile application, COP CONNECT to support the professional communication and collaboration needs of entire police department of the state. It has been developed based on Telangana State Police internal Communication strategy on lines of popular internet messaging application WhatsApp. The app has all features of regular mobile messaging apps and is enabled for chatting, group chats, file sharing (image, audio, video and documents) and location sharing. Yes Bank has received approval from market regulator Securities and Exchange Board of India (Sebi) for acting as custodian of securities. Custodian of securities is a licence granted by Sebi to eligible entities allowing them to offer custodial services to financial market participants including foreign institutional investors (FIIs) and foreign portfolio investors (FPIs). This will complement the bank’s existing capital market offerings and enable it to play a larger role in channelising domestic and foreign investments into Indian financial market. The bank has leveraged its global reach through its international banking team, IFSC banking unit in GIFT City and its representative office in Abu Dhabi as a part of its strategy. 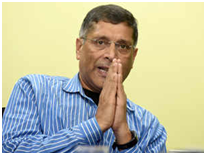 Finance Minister Arun Jaitley has said Arvind Subramanian, the Chief Economic Advisor to the Government of India, would return to US in October. The annual Asia and Oceania Region Inter-Governmental Ministerial meeting on anti-doping held in Colombo, Sri Lanka. It has been attended by the representatives from 29 countries including India. The 15th such annual gathering is also being attended by the World Anti-Doping Agency (WADA) to discuss important anti-doping issues that will help in the fight for clean sport. The 5th National Standards Conclave- Implementing the Indian National Strategy for Standardization washeld in New Delhi. It was organized by Department of Commerce and Confederation of Indian Industry (CII). Two reports were also released by Suresh Prabhu, Minister of Commerce and Industry, Indian National Strategy for Standardization (INSS)and CII-ASL Study on TBT/SPS Notifications. INSS is the result of the combined efforts of Ministry of Commerce and Industry, Ministry of Consumer Affairs and industry stakeholders. 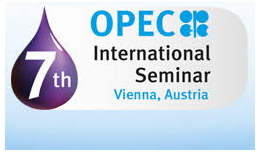 The Organization of the Petroleum Exporting Countries (OPEC) will host the 7th OPEC International Seminar at the Imperial Hofburg Palace in Vienna, Austria, on 20−21 June 2018. To increase the State’s green cover, the Punjab government on Tuesday launched a smartphone application that lets users order free plant saplings, officials said. The ‘i-Hariyali’ app under ‘Mission Tandarust’ can be downloaded from the app store for free. S.-based cab aggregator Uber said it had elevated Pradeep Parameswaran as president of its India and South Asia operations. He succeeds Amit Jain, who was elevated to the role of Head of Asia Pacific region last month. Mr. Parameswaran had joined Uber in January, 2017, and was leading operations for Uber in India and South Asia. Indian Coast Guard (ICG) commissioned fast patrol vessel (FPV) ICGS “Rani Rashmoni”, in Visakhapatnam, Andhra Pradesh. It is the fifth and last ship to be commissioned in the series of fast patrol vessel (FPV) project of ICG. 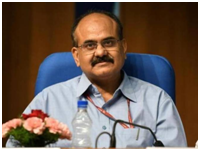 The ship will be based at Visakhapatnam under the administrative and operational control of Commander, No.6 Coast Guard District Headquarters (Andhra Pradesh). 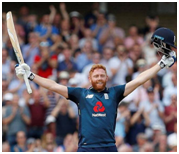 England broke its own all-time record for the highest total scored in a men’s ODI when it posted 481 for six against Australia. When Alex Hales (147) hoisted Jhye Richardson for six in the 46th over, it meant England had broken its own world record total — also set at this venue — of 444 for three against Pakistan in 2016.